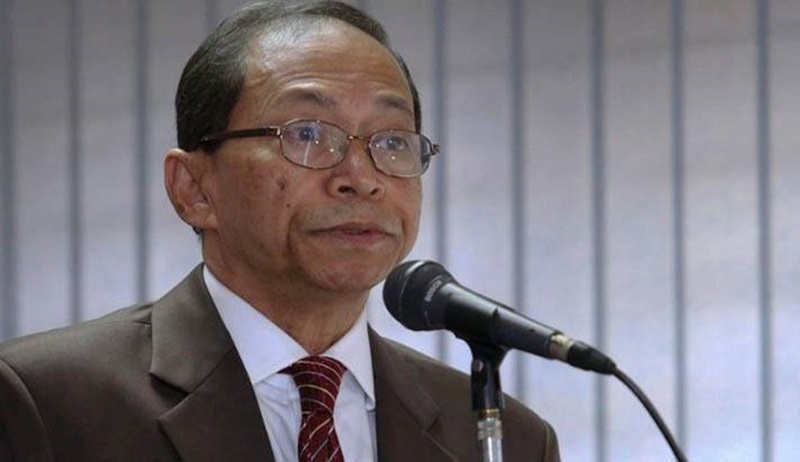 In a controversial move, the Chief Justice of Bangladesh Justice Surendra Kmar Sinha, the first Hindu to be appointed as Chief Justice of the Muslim majority nation, tendered his resignation papers on Saturday. He had assumed office on 17 January 2015. The Chief Justice had been on leave for past one month, and had gone oversees, reportedly staying in Singapore and Australia. There were unconfirmed reports that he was forced to go on leave after he invoked the displeasure of the Government. Initially, the Law Minister stated that the Chief Justice had gone on sick leave as he was suffering from cancer. However, in a stunning statement issued on the 13th of October, Justice Sinha denied that he was sick, and that he will return soon. He stated that he was embarrassed with the criticism made against him by politicians and government by misinterpreting his judgment which struck down a constitutional amendment. Striking down of Constitutional Amendment. During July, a seven member bench headed by Justice Surendra Kumar Sinha had struck down the 16th Constitutional Amendment passed by the Parliament of Bangladesh, Jatiya Sangsad, which had given powers to the Parliament to impeach judges of Supreme Court on grounds of corruption and malpractices. Before the said amendment passed in 2014, the power to remove judges was vested with a Supreme Judicial Council, which comprised the Chief Justice and two other senior judges of the Supreme Court. As per the initial scheme of the Constitution of Bangladesh, the Parliament had the power to recommend the President to remove judges. However, this power was taken away an amendment passed in 1978 when military regime was in power under Ziaur Rehman. The 1978 amendment created the Supreme Judicial Council. The 2014 amendment restored the position to the original constitution by doing away with the Supreme Judicial Council, and transferring the power of impeachment to the Parliament. The Supreme Court was of the opinion that the amendment undermined the independence of the judiciary. It was observed :- The chief justice and judges are constitutional functionaries. They are not servants of anybody and have no master whatsoever. There is no master-servant relationship at all between them and anybody else, least of all other branches of the state. The Government was not at all pleased with the striking down of the constitutional amendment. The Government was also not happy with some of the remarks made by the Chief Justice against politicians. During a hearing, the Chief Justice had made references to the Pakistan Supreme Court’s decision removing Prime Minister Nawaz Sherrif. This was taken as a threat from the judiciary by the Government, and the Bangladesh Prime Minister Sheikh Hasina openly criticised the Chief Justice for threatening the Government. Alleged remarks against the Father of Nation. The Chief Justice was also accused of passing belittling remarks against the Father of Nation, Bangabandhu Sheikh Mujibur Rehman, in the judgment striking down constitutional amendment. In the judgment, while discussing the Preamble of the Constitution of Bangladesh, it was observed that no nation - no country is made of or by one person. This comment was taken out of context and was misinterpreted by the Attorney General as stating that the Father of Nation had no contribution in nation building. This led to a lot of uproar. Incidentally, Justice Sinha had headed the bench which rendered the judgment convicting the assassins of Sheikh Mujibur Rehman. Last month allegations of corruption and money laundering surfaced against the Chief Justice. Reports also emerged that there was rift amongst the judges of Supreme Court regarding the leadership of Chief Justice, and some top judges had refused to share bench with him. On September 30, before the Chief Justice proceeded on leave, five senior judges of the Supreme Court were invited for a meeting with the President, wherein the President had handed over documents containing graft allegations against the Chief Justice. The five judges had later met the Chief Justice in his residence, seeking his explanations regarding the charges. Reportedly, the Chief Justice had proceeded on leave following this incident. The resignation of the Chief Justice from abroad has been termed as embarrassing and shameful, and has put the Supreme Court in a constitutional crisis.